This article picks up from the beginning of 2013. Over the course of four test dates in 2013, we nearly doubled the total number of successful CCDEs. We started the year with 90 CCDEs, and added 81 more. This was by far the largest number of new CCDEs in a single year. In 2014 we literally one-upped the previous year, as 82 candidates passed the Practical exam. During these two years we nearly tripled the total number of CCDEs to 253. This still stands as the record number of passing students in a calendar year. Over fifty of my students passed during these years. In some ways, it seems as though these years were the golden age of the CCDE program. After the great success of these years, 2015 and 2016 were slightly disappointing. Only 47 candidates were able to earn the CCDE certification in 2015, and this year saw exactly the same number of successful candidates. During conversations with CCDE program members I have learned that most of the reduction in successful candidates can be attributed to fewer candidates, and not to more difficult exams. Of course each exam date brings new content, so we cannot say with confidence that the exam difficulty has remained the same. The last two years have also seen an global expansion of the CCDE program. I have had students pass the exam from countries such as Austria, Ghana, Luxembourg, Malaysia, and Romania. And of course, many students from the United States, Germany, France, etc. Thus far I have had successful students from 36 unique countries. I am looking forward to what 2017 will bring to the CCDE program. With four upcoming exam dates and no announced changes to the Practical exam, we should see quite a few new CCDEs in the coming year. There are also rumors of changes to the recertification process. Stay tuned! I am proud to introduce my CCDE Wall of Fame page, where I have listed all of my students who have successfully earned the Cisco Certified Design Expert certification. Congratulations to all of these individuals, and good luck to those who are taking their exam on November 17th. You can find the full list at The CCDE Wall of Fame. If your name is missing, please let me know so I can recognize your achievement! I expect to add several more names later this month.. With a little luck we may even reach the 100th student to pass. Over my years of helping CCDE candidates prepare for their Practical exam I have often been asked for my help in understanding the score report that an unsuccessful attempt yields. It is unfortunate when a candidate receives an unsuccessful result, but it happens often. 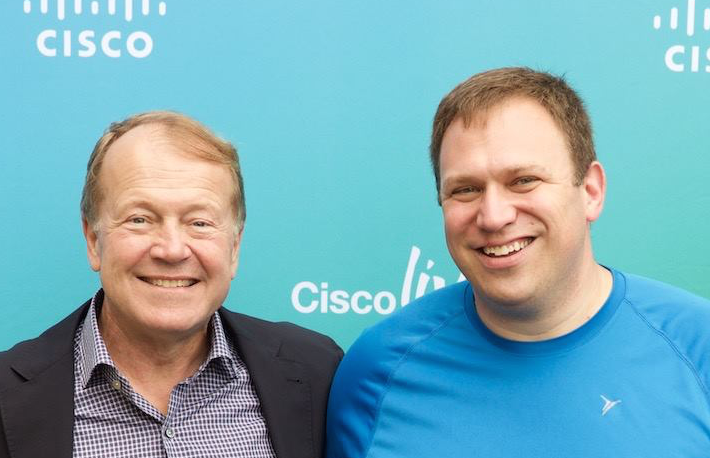 Cisco's pass rate for Expert level exams (CCIE + CCDE combined) is approximately 15 - 20% per attempt, so more often than not, a candidate will not pass. So what can we do with this information? It certainly doesn't tell us which Cisco Press book to re-read in preparation for our next exam attempt. How can you build a study plan that gets will get you the crucial points to pass during the next exam date? First, trust your gut. Your score report is given to you immediately after completion of the exam. The day's scenarios should be relatively fresh in your mind. Which of the technical topics was most challenging for you? Were there any terms or acronyms that were unfamiliar? I'm not ashamed to admit that during my CCDE Practical exam I came across at least one term that I hadn't been exposed to in my studies. This is why you'll see a few oddball acronyms in my training materials, especially during my practice exam. Make a list of all of the topics, terms and design situations that made you uncomfortable. If it is a large list, so be it! I still haven't met a CCDE who was completely confident in their results before they saw their score report. The exam is designed to put you, the network designer, in uncomfortable spots. After all, doesn't real-world networking require compromise and educated guessing from time-to-time? The difference being that in the real-world we are allowed to use Google to validate our guesses before hitting submit. So what does my result in each of these categories actually mean? This section is worth approximately 36% of your exam. The questions that fall into this category are of the style of 'What additional information do you require to develop your design?' Poor scores on this category reflect trouble understanding the scenario, and especially the business constraints presented. I like to think of this category as the one that tests your reading comprehension capabilities. It has been my experience, when working with students, that low scores make it practically impossible to pass the exam, as your core understanding of the scenario is flawed in some way. It is very difficult to determine the right answer to the following sections without proper knowledge of the core documents. This section represents the plurality of points on the exam, about 39% of the total points. These questions can be presented in many ways (multiple choice, multiple answer, diagram/hotspot, etc). The core skill tested in this category is the 'Which network design is most appropriate for this scenario?'. If your scores in this section are low, that represents a hole in your technical knowledge. Perhaps you do not understand one or more of the proposed technologies (if selecting the right solution) or the specific technology in the question (for example, where to place the BGP Route Reflector). Poor performance on this question type also makes section 4.0 (Validate and Optimize Network Design) difficult, as you are likely to go down a branch of the exam that does not have any correct answers available. These are your implementation plan questions. As we discuss in my training, there is a specific strategy that I recommend for this question type. These represent only 13% of the total points on the exam, but with a passing score at or near 80%, every point counts. Fortunately, getting these questions wrong does not usually lead to a bad branching path. Although this section is only worth 12% of the exam points, I consider it the heart of the CCDE program. These are the questions that ask, 'Why did you make the design recommendation in the previous question?' or 'Why is this other proposed design not optimal?' I like to think of this question type as the one that clarifies whether the candidate knew the answer to the Design Recommendation question that came before it, or whether they had a lucky guess. It is very difficult to guess correctly twice in a row! I hope this article has helped candidates who were unable to pass on their last CCDE Practical attempt. Next month's article will be a technical one, Provider Backbone Bridging (PBB) 101. And I do mean it -- I have spoken with dozens of people about this topic, from all walks of life. The very best network architects I know may even suffer from Imposter Syndrome to a greater degree than less experienced members of the industry. Perhaps this is a factor in their success; they never feel like they belong (technically), so they continue to study technology and achieve certifications in a quixotic attempt to finally feel like they have accomplished ‘enough’ to fit in. And perhaps no one experiences this as much as I do. [See what I did there… I fell into the very trap that everyone else falls into, thinking that I have it worse than the rest with regards to this affliction]. The logical, calculating portion of my brain knows this is a farce. I have lots of great experience, many successful CCDE students and multiple high-level certifications that should provide proof of my abilities. In fact, they do, to everyone but myself. So what does this have to do with my First CCDE Training Class (the title of this blog post)? I’m sure you can guess. About a year after I earned my CCDE certification, I found myself in a classroom, tasked with teaching a group of network engineers how to prepare for the CCDE Practical exam. Well, they weren’t just a ‘group of network engineers;’ they were a self-selected class of fifteen Cisco SEs and NCEs. We began the class in traditional fashion, where I introduced myself and then gave each participant a few moments to do the same. As I recall, every member of the class had at least one CCIE certification, and in total there were over 40 earned CCIEs in the room. Only one of those was mine... Talk about the Imposter Syndrome! As one candidate briefly summed up his background (two Cisco Press books published, developer of the CCIE DC exam, etc, etc) the thought occurred to me — "I got lucky, passed a tough exam, agreed to teach a class I had no business leading, and now I’m going to melt into the floor at a Cisco office in Chicago once this class realizes I’m a fraud." provided by the training vendor were not sufficient to help prepare the class, so I spent several late nights during the week preparing additional case studies. At the end of the week one of the students kindly photocopied my handwritten composition notebook to share with the class. A handful of class members had already attempted the exam and they had specific strategies that they wanted me to help them work through. One wanted to go through a merger scenario, so we worked up something on the whiteboard. As we proceeded through the various topics and designs that could be on the exam, we occasionally reached a topic that I had difficulty teaching. Each time one or another member of the class stepped in to guide the discussion. At the end of the week, I thanked the class for allowing me the opportunity to assist them with their pursuit of the CCDE certification. I remarked that they had been an incredibly patient group and they had made me, a first-time instructor, very comfortable. Immediately several students expressed surprise that I wasn’t a seasoned teacher. Each of them remarked about how at ease I appeared during the class and how well I handled such a difficult group. My internal read on the situation was exactly the opposite of theirs. Several months after the class concluded, I began to receive emails from students thanking me for the assistance I provided, and letting me know about their success on the CCDE Practical exam. By my count, five of the seven students who ultimately attempted the CCDE Practical passed after our class. You would think this experience had put my mind at ease, and teaching future classes would be much easier. Well, I’ve taught well over a dozen week-long CCDE bootcamps, and many more online classes, and I still get nervous before I introduce myself at the beginning of each session. The Imposter Syndrome is a part of my professional life, and I’ve come to accept it. In fact, I count on it to ‘keep me hungry,’ so I continue to study the various technologies involved in network design just as I did in 1997, when I truly did not know anything about networking. 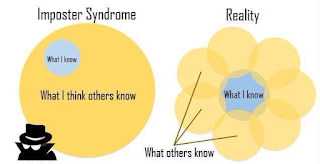 I do in some ways fear that as the Imposter Syndrome is more openly discussed, it will become less prevalent. This could have the unfortunate effect of causing overconfidence, where everyone who knows about this syndrome thinks they suffer from it, even when they are, in fact, under-informed about their chosen craft. I somehow doubt this will be an issue except for the small minority who never actually had the condition to begin with. Jeremy Filliben is a network architect and CCDE instructor. He has assisted over 80 students in their successful pursuit of the Cisco Certified Design Expert designation. His next CCDE Practical Bootcamp class is scheduled for July 25th. More details can be found on his website at www.jeremyfilliben.com. Is Network Design an Art? This is not true with network design. If two network designers review a set of business and technical requirements, they may generate unique proposals. When this occurs, invariably one or more of the following are at the root of the disagreement. With good network designers, this is often the root cause. It is possible that they did not receive the same requirement information. More often, one of the engineers overlooked a key piece of information, such as a customer preference or existing technology choice that must be taken into account. If the requirements were not well-defined, assumptions must be made. These assumptions become quasi-requirements, which lead to different solutions. Also known as ‘practical experience’ — These are the biases that we have developed over the years of deploying and managing technologies. Pretty much every network engineer has a preferred IGP, for example. Perhaps you have worked more often with OSPF networks, and therefore you are more comfortable using it to solve most problems. That does not make it the right choice for every proposed network design. This point of disagreement can also result from negative experiences, especially as they relate to implementation-level problems. Remember that Cisco OSPF in IOS-XR bug that kept you up for several consecutive nights, or the time IS-IS ‘blew up’ for you because you added a Juniper router to a Cisco network (hopefully not real examples for you). While implementation-level details should factor into real-world designs, do not let them talk you out of the correct technology solution (especially on a CCDE exam, hint hint). This is the category of disagreement related to the knowledge of our network designers. If one engineer proposes an IS-IS solution, and the other engineer has no experience with the protocol, there is very likely to be a disagreement. 1) What problems can it solve? 2) What are the pre-requisites? 3) How well can it scale? 4) How manageable is the resulting design? That short list is in my experience sufficient to know when/where a technology can be useful. I can quickly rule out those that won’t fit (for example, if L2 adjacency is required, I can rule out L3VPN) and then spend time researching the remaining options to find the best answer. 1) Are you concerned with vendor lock-in? 2) What is your convergence requirement? 3) Does your support team have operational experience with either protocol? 4) To what size do you intend to scale the network? 5) Might you deploy dynamically-calculated MPLS-TE tunnels in the future? After getting honest answers to these questions, two network designers should be able to come to an agreement on the correct IGP. BTW, I am not disagreeing with the core tenet of Art of Network Architecture, and not just because Russ and Denise are two of my favorite people in networking. The point I am making is that there is a difference between network architecture and design. Jeremy Filliben is a network architect and CCDE instructor for Pristine Packets. Details about his training can be found on his website, www.jeremyfilliben.com. Jeremy has trained over 80 CCDEs in his 7 years in the industry.